In times when digital inclusion is the top priority, retail seems like a segment on the verge of extinction. Note, it seems and it seemed, but is that really going to be the case? Purchasing household items, grocery, lifestyle accessories, shirts and skirts, and even jewellery online (and by the way, what not) is considered so much more convenient than a simple cash transaction at a nearby shop. 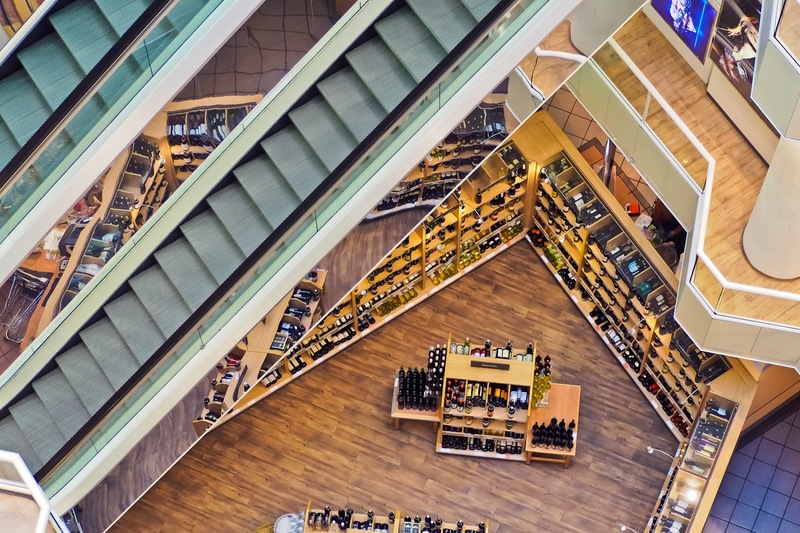 The range of discounts and offers available to a customer plus the ability to choose from a plethora of options make shopping from an e-commerce portal much more sensible (and preferably, right choice) than stepping out and visiting an on-ground retail outlet. Retail, obviously, has its perks where the customer can verify the products tangibly before buying it, but today the game is much more difficult than that. With an immense boom in the online retail industry, one would think that the on-ground retail industry would suffer at the end. But that apparently is not completely true, at least in India, it isn’t. And when we look beyond that picture of one country, the retail industry has now started evolving for the only good. With a population of 1.3 billion in India and over 20% people being media dark, it is impossible for retail outlets to go defunct, but yes, the threat lies. The footfalls in outlets have decreased, more and more brands invest heavily on online sales, in fact, the cost to promote and sell products on ground has comparatively increased. And in times like these when the threat is evident across the globe, one Tech giant rows against the river. 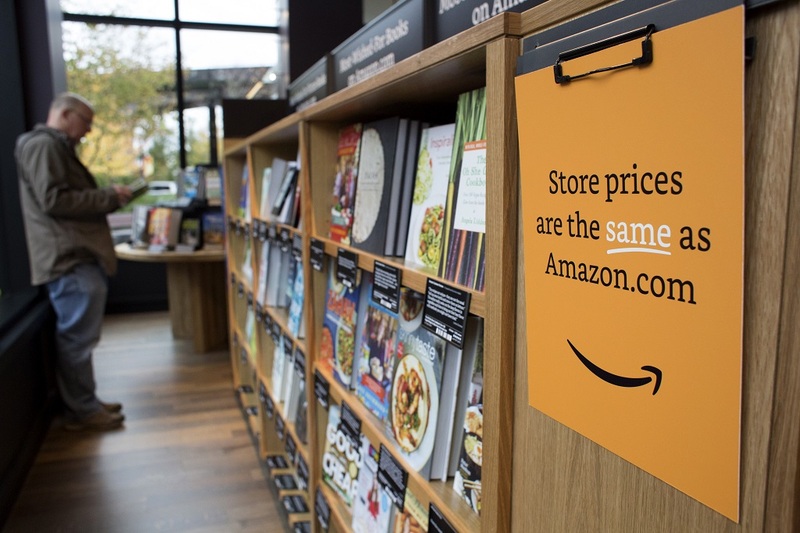 Amazon opened its first Bookstore in Seattle having the name AmazonBooks in November ’15 where a mild experiment is being carried out and recently, it has confirmed to open its 10th Bookstore which clearly showed that Amazon has its plans to make it more than an experiment. With it, last year in December, Amazon also made news about its Amazon Go shopping stores where they emphasised on the tagline, ‘No Lines. No Checkouts.’ Undoubtedly, it stormed the internet within moments through the vision that Jeff Bezos holds! Unlike major bookstores, Amazon has steered away from highlighting the best sellers and has no goal to sell only those and to keep them as the only top priority just to keep their head above the water. What they have tried to do is build a more comprehensive product line that can be more entertaining and enlightening for a customer. They have set up a collection of books based on their reviews and ratings online, this gives them a great selling point while for customers, a good read, while matching the prices as offered on their web portal (for the ones who pay for Prime membership) so the customers end up getting a huge discount too. Now, that makes a great deal with the hands-on experience. Hence, each and every product is highlighted equally rather than just a few products (or say only the best sellers) being pushed off the shelf in huge quantities. This also leads to higher traction from buyers as they wish to visit again and explore the range of good reads. Here is a learning for retail managers, the game is not lost to online retail market but in fact, it is now becoming interesting. What Amazon did is a sort of disruption that does not concentrate one’s sales only on the best sellers but instead creates a good range of products. If that wasn’t the case, the best books which didn’t make to best seller account might have gone missing from the eyes of the readers, and here it opens the room for every space, not just limited to the books. Try not only to sell the bestsellers (because everyone is selling it) but concentrate on the second best and lift them up curating the reviews and ratings (it’s as easy as finding a location on Maps). What Amazon further did was to sell the books at the same price they are being sold online, to Amazon Prime customers. In case you have your doubts, if numbers are to believed, Amazon earns about $6 billion through the offering of membership plans of Amazon Prime from 65 million people around the world. 6 billion dollars is quite a sum to make up for margin while on the other side, leveraging its online platform with offline stores. A customer shops at Amazon Books in Seattle, Washington, on Tuesday, Nov. 3, 2015. The online retailer Amazon.com Inc. opened its first brick-and-mortar location in Seattle’s upscale University Village mall. Photographer: David Ryder/Bloomberg David Ryder—© 2015 Bloomberg Finance LP. Source: TIME. But now, everybody cannot do it because it is not easy to make everything Amazon. Definitely, not easy. What needs to be learnt from here is the amalgamation of technology with the human psychology, leading it to take place at the online platform and offline stores. Offline retailers can follow such a process where they can increase their bandwidth and further reduce the price by pulling it from online retailers and hence competing neck-to-neck. On-ground retailers have to understand that the customer will always visit again for a better experience, and he loves to be educated about his products. Customers love to have options from a wide variety of products and are always happy when money is saved. It is better for an offline retailer to concentrate on a segment and offer products that don’t necessarily always make it to the top of the hierarchy but are obviously second to the best (and are best) but have gone missing in the limelight of a few bestselling products. Selling best sellers along with other decent options that are normally also suggested by other consumers accounts a good strategy. The purpose here is not to simply sell a product but provide an experience where the customer can be educated and learn to choose what best fits for him from the lot. Let him spend enough time in your store and let him be interested in the products you are selling. 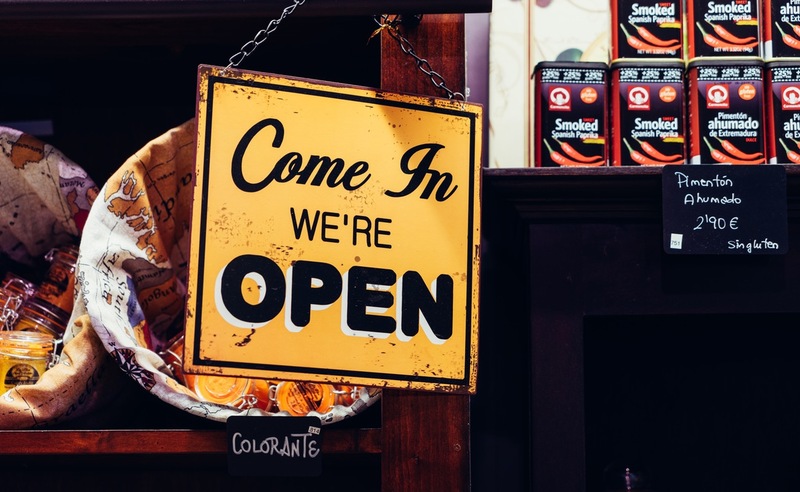 Make the doors open, because in a way, sooner retail industry is going to be disrupted and Amazon has started showing the signs leaving the mark on consumers!